With UK inflation hitting its lowest rate in 14 years, inflation risk can easily be overlooked. Even in a disinflationary environment the persistent corrosive nature of inflation can meaningfully erode the real value of investors’ portfolios. The purchase power of £1 has declined by 15% in the last 5 years. Preserving and enhancing the purchase power remains the key objective. The latest white paper from the Hermes Multi Asset team, Inflation – tracking the spectre stalking your portfolio, argues that there is no simple solution to inflation-matching, and history provides no easy solutions. As the causes of inflation vary overtime, different assets respond differently to different inflationary environments. In short, there is no silver bullet. Seven years after the start of the global financial crisis the future remains uncertain, despite the low-growth and moderate-inflation environment. Policy measures such as quantitative easing have created an environment that begs the question not just of how we return to normal, but what normal. Most inflation-targeting portfolios start with an estimation of future inflation rates, then the blending of a portfolio of assets that are expected to match or exceed this with an acceptable level of volatility. However, the problem remains this is premised on a series of market expectations and therefore is vulnerable to the interaction of estimation errors between various assets’ returns and inflation. If inflation was an investible asset, then it would have an enviable return per unit of risk having generated an average 3% return p.a. with 1% volatility. Building an inflation-matching portfolio with a low tracking error therefore is – literally – a rewarding but challenging task. Single strategy solutions such as linkers are fraught with problems. The more specific the inflation solution, the more vulnerable it will be to asset class risk, and the less protection from diverse external shocks it will provide. 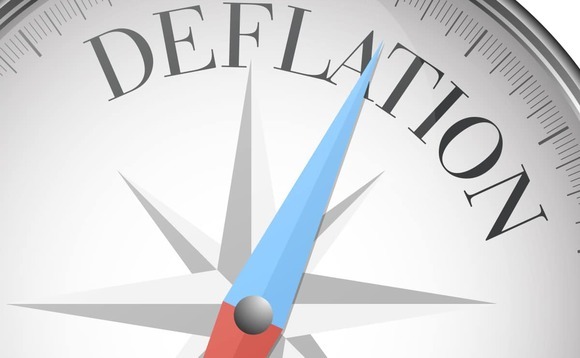 An obvious irony is that inflation-proofing assets are themselves prone to inflationary pressures and precisely at the time when investors need them most. Demand is most likely to exceed supply for inflation assets when inflationary threats are seen to be at their greatest. And in general, potential demand far exceeds supply for inflation-linked assets – some three-fold with regard to UK linkers – so in order to avoid over-paying, investors who seek inflation protection need alternative solutions. Given that no single asset class can consistently match, let alone exceed, inflation, there is a need for a diversified, dynamic solution – a flexible investment approach focused on delivering real returns with a low tracking error to inflation. By decomposing the drivers of inflation, and understanding the relationship between different assets and different inflation scenarios allows us to identify and classify the broad universe of assets and risk factors into matching assets and enhancing assets. Consistency of returns and low tracking error are the result of building the entire investment process – asset selection, portfolio construction, risk management – around inflation. .